Adelaide Hills are full of secrets. Thank God that there are some road signs that reveal these secrets. Thus, about the Melba’s Chocolates we first found out from a road sign standing on one of the turns. At that time, the factory was not found, although we really tried to find it. Obviously, those magical places could be found only by the persistent adventurers. The second time we have found it without a road sign, accidentally passing by, but, unfortunately, that day it was already closed. However we set this place in the GPS, and promised that we would be back. And we went back, just for the Birthday of the youngest daughter. Melba’s Chocolates is the dream of any child. 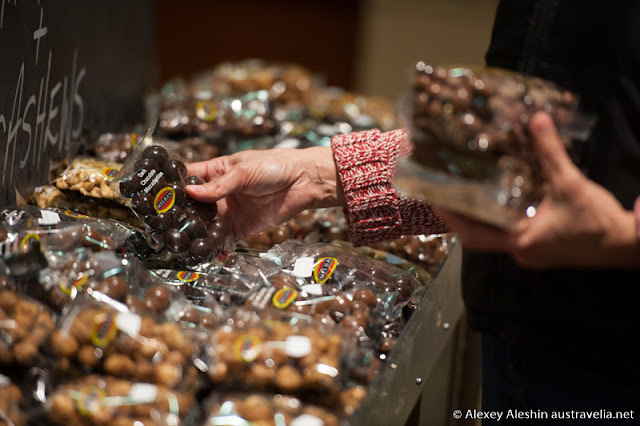 There is a huge amount of sweets for all tastes: chocolate frogs, pigs and dinosaurs, chocolate coated nuts & fruit, licorice, rocky roads and even ... chocolate with chili. Here you can also buy speciality bags for all occasions and souvenirs. We were also happy to find the huge but inexpensive packs of the mixed broken chocolate. But the candy store it's not the most interesting thing. The most interesting are the glass walls and open doors, through which you can see the production process of all these delicious things. This is a very interesting and informative demonstration. 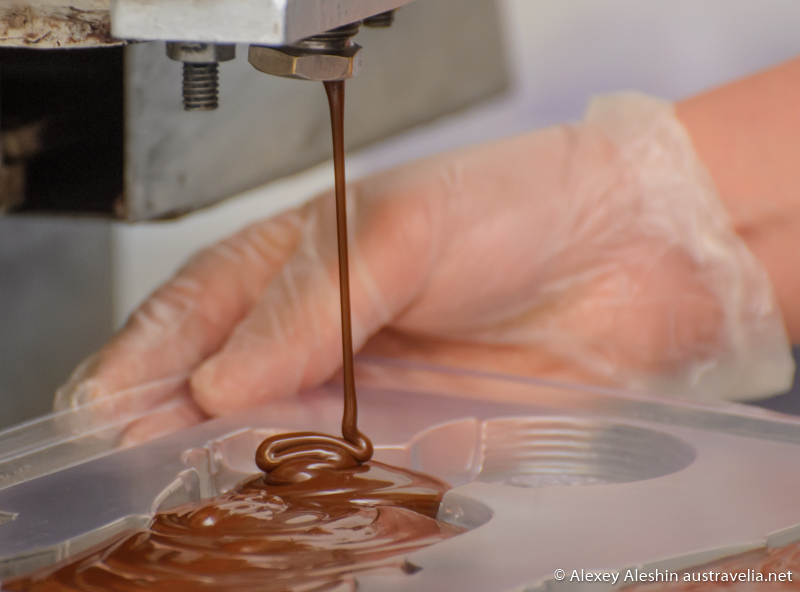 We learned that the factory has traditionally operated the old heritage chocolate and confectionery making machinery. Next to each open door there were the bowls with the samples of chocolates that you could taste. We spent more than an hour in a factory, and took home not only happy memories, but also a whole bag of chocolate delights.